1. Click Forgot Password? on the PAWS login screen. 4. Enter your Last Name, your Birth Date, and then enter the Last 4 digits of your SSN or the Last 4 digits of your LSU ID. ** IMPORTANT: You have ONLY 3 Chances to correctly enter your personal information (e.g. if your last name is spelled incorrectly). For additional assistance with personal information, please contact the Admissions office. 6. Reenter your New Password to verify. 7. When finished, click Change Password at the bottom. 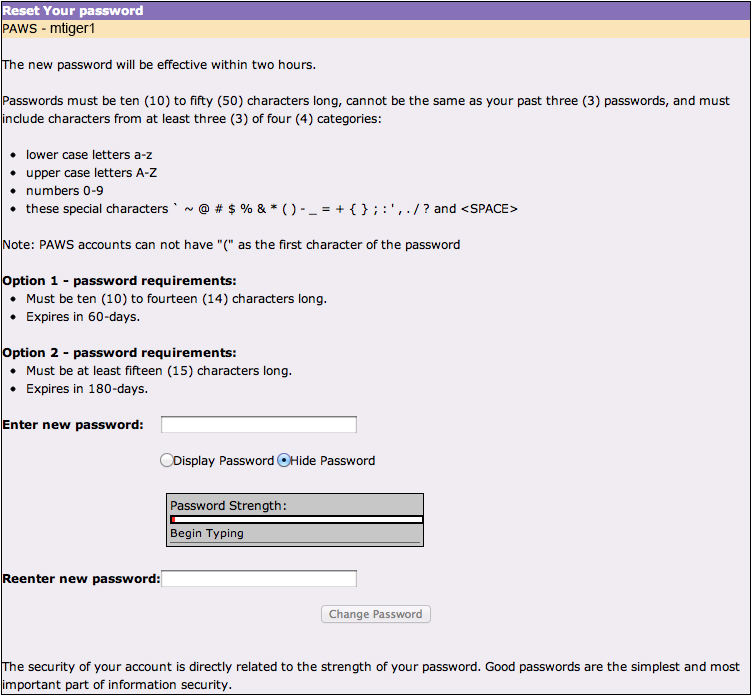 NOTE: Please wait at least 30 minutes to two hours for activation of your myLSU account. If you need further assistance, please contact the Help Desk at 225-578-3375 or helpdesk@lsu.edu.